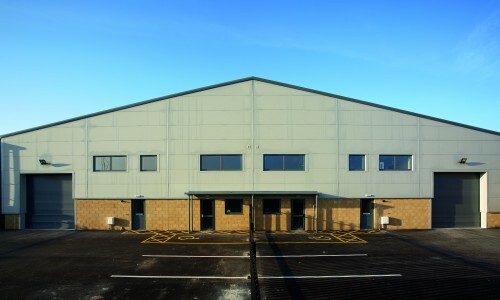 Hobson & Porter, has successfully handed over the completed works for an industrial development to commercial property management agent, Garness Jones. The buildings, which are designed and built to a high-specification, are located between St Andrew’s Quay and Albert Dock, separated from the Humber by Clive Sullivan Way. The site was formerly used by Heron Foods; however, Garness Jones sold the plots on behalf of Heron Foods who was then retained to market and manage the once finished development. 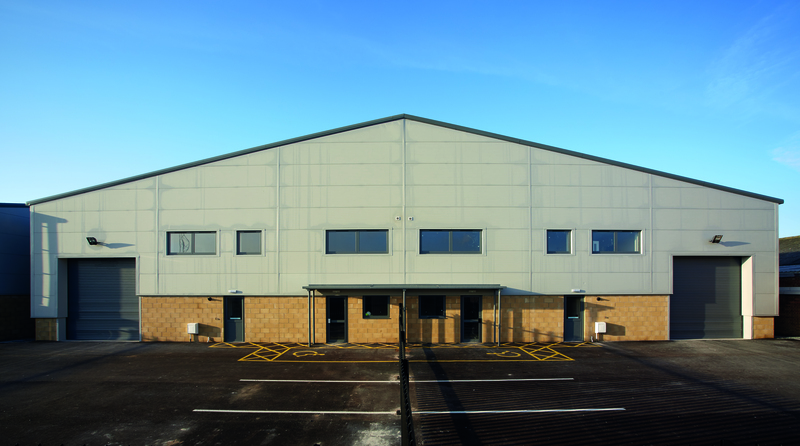 Hobson & Porter’s successful track record in the local area and collaboration with Garness Jones Chartered Surveyors and CAD Associates has ensured that the high specification industrial units have been delivered as expected by the client. The smaller of the two buildings is a single unit measuring 243m² at ground floor level; a first floor mezzanine refuge deck (in the event of flooding) comprises a workshop and open-plan office / reception with disabled toilet. There is also a parking/delivery area, which is contained within a security fence and accessed from Wassand Street using an existing footpath crossing. The second build contains four individual units, each with a self-contained parking/delivery area separated by palisade security fences – with private access for each occupier through a secure gate. Two units are accessed via Wassand Street, with the other two accessed via Walcott Street, with new crossings. The four identical units comprise a workshop, entrance lobby with staircase, waiting/reception and toilets to the ground floor (401m²) and two offices and a unisex toilet to the first floor (87m²). Hobson & Porter began work on the project in May 2015, handing over completed work on 18th January 2016. Kevin Barker, Senior Site Manager for Hobson & Porter, said: “We are very pleased with the standard of work which has gone into the two buildings in Walcott Street and Wassand Street in Hull. These units are suitable for a wide variety of industrial clients, with excellent office and staff welfare facilities, strong road links and local facilities and a high level of security. Andy Ward, Contracts Manager for Hobson & Porter, managed the scheme from inception through to completion and is extremely pleased with the end result.